Inspired by athletes and made for you. The Merrell MQM Flex packs all the technology needed for Moving Quickly in the Mountains™ into one fast, protective shoe. 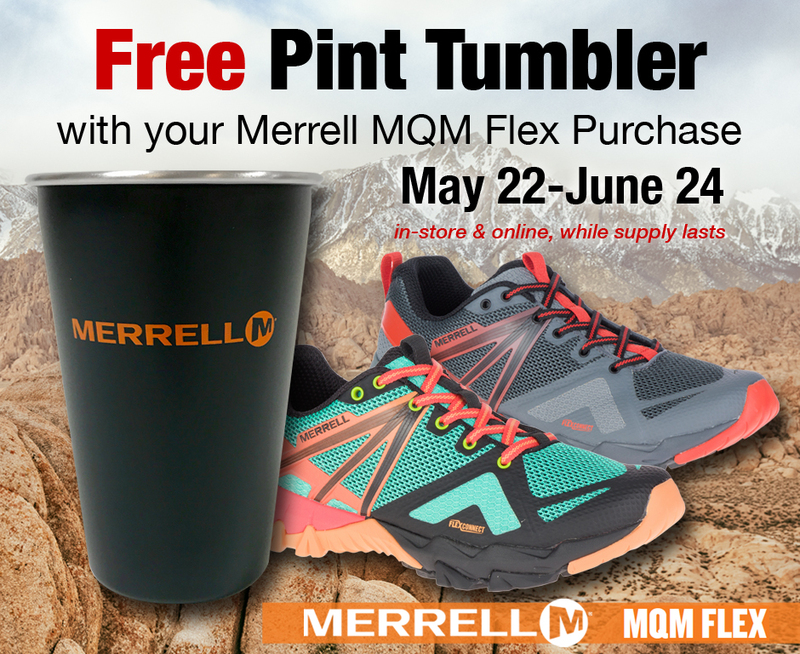 Purchase a pair of Merrell MQM Flex in our Kittery, Maine store or online and receive a FREE Pint Tumbler, courtesy of Merrell.